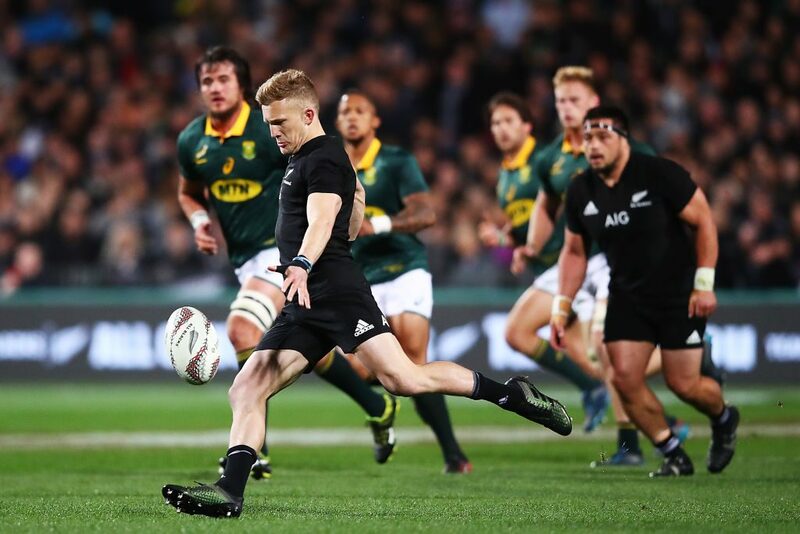 An eight-try All Black masterclass smashed records against South Africa and virtually secured the Rugby Championship for 2017. So who glittered brightest among the stars in the 57-0 thrashing on the North Shore? A nervy beginning under the high ball but gradually grew into the game. Superb touch-finder in the second half and lots of elusive running cutting back from the right wing. Starting to look much more comfortable at Test level. Showed why he is one of the great entertainers in world rugby. Exceptional reading of the game, magical skills and a brace of tries as his reward. Solid defensively and took care of the dangerous Kriel. Quite quiet in the first half but solid performance from Williams. Is he the best winger in the world now? A monstrous 171 metres gained and eleven defenders beaten as he caused nightmares for opposite Raymond Rhule. Pace to burn, power, anticipation and sensible decision-making – and remember he’s only 20. Absolutely sensational first half to bury his critics. Almost perfect place-kicking, excellent kicks in general play, an outrageous flick to set up Milner-Scudder for a sensational score. And he did it again in the second half with a huge cross pass. Another who was on fire in the first half. 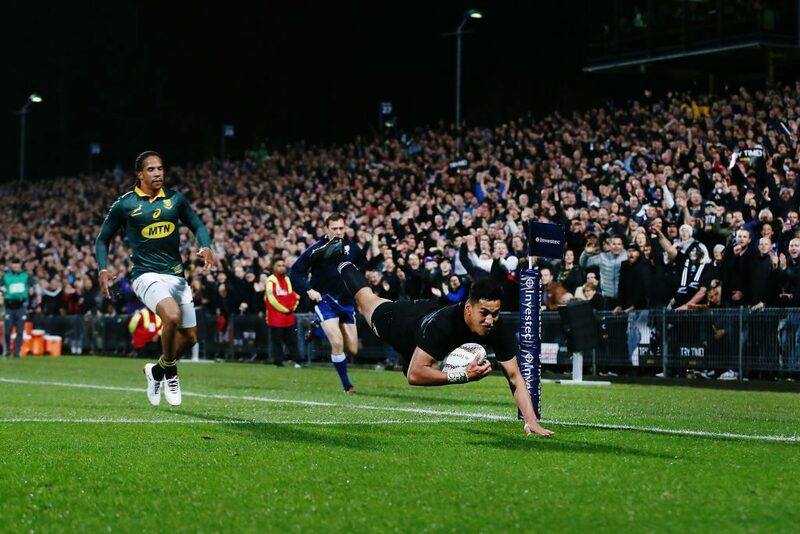 Set the tone for the All Black onslaught with a magnificent quick kick from a penalty to set up Ioane. Slick passing, decision-making and defensive tidying-up. He sets the tempo for this side. Lots of classy small touches in the first half and was defensively excellent. Super tackle in the second half to thwart Springbok drive to the line. 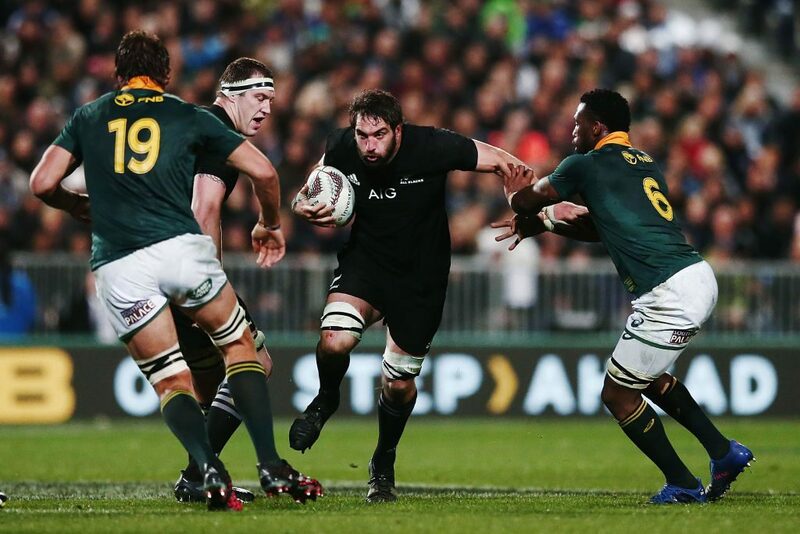 Brilliant defensively, winning important turnovers with the Springboks threatening. Excellent physicality early in the first half before being subbed off with a head injury. 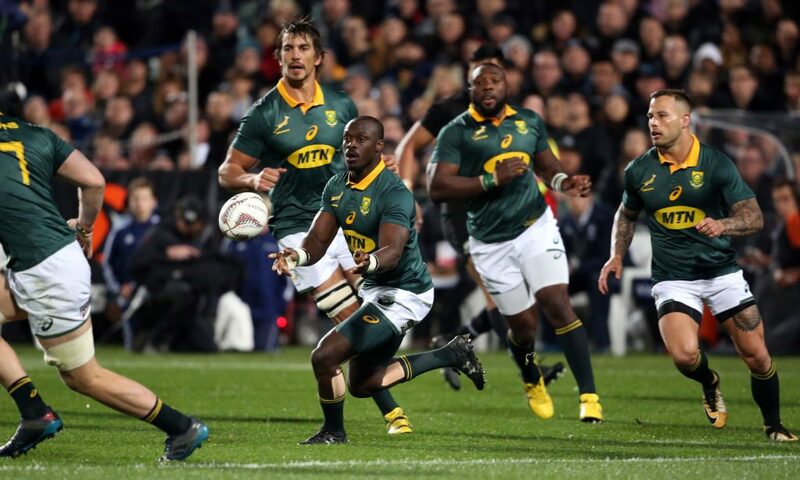 Not sighted much with ball in hand but important lineout wins and tackles and caused problems for the Springboks. 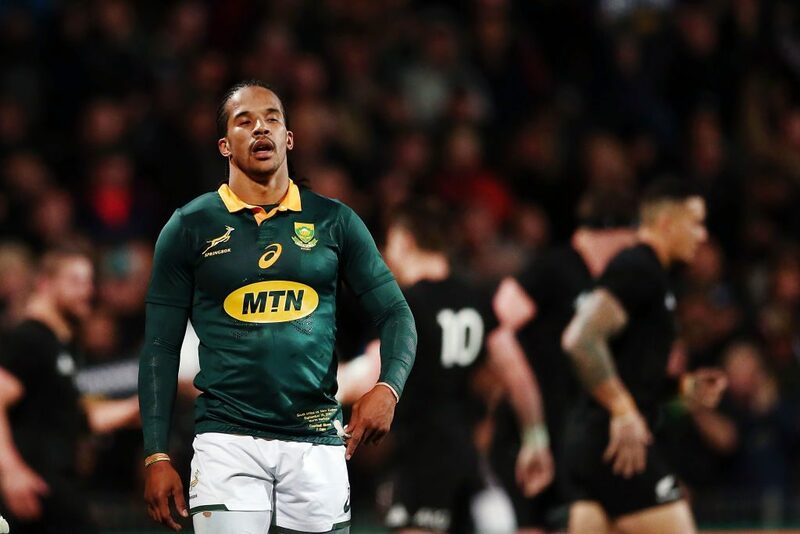 Won his battle with Eben Etzebeth and scored a storming try in the first half after a searing Ioane break. The front row got monstered in the early scrums in the first half but the inexperienced three righted the ship as the game wore on. Coles is another who was back to his best. Bustling skillful contributions and link play. Strong tackling but a few errors as he didn’t really show he is up to international class. Ran hard from the back but never really sped clear of the black wave. About as defensively sound as a sieve on the right wing missing a jaw-dropping nine tackles and barely sighted in the attack. Solid tackling but conceded a few turnovers and no penetration or inspiration on attack. Another to miss a few tackles but at least tried to bust the line and try to spark his ailing side. Caught and marked a few kicks. Few chances to show his afterburners but didn’t really go looking for opportunities either. A poor tactical showing from kickoffs and the overplayed the up and under. A few darts to the line without ever threatening. Completely outplayed by his opposite number. 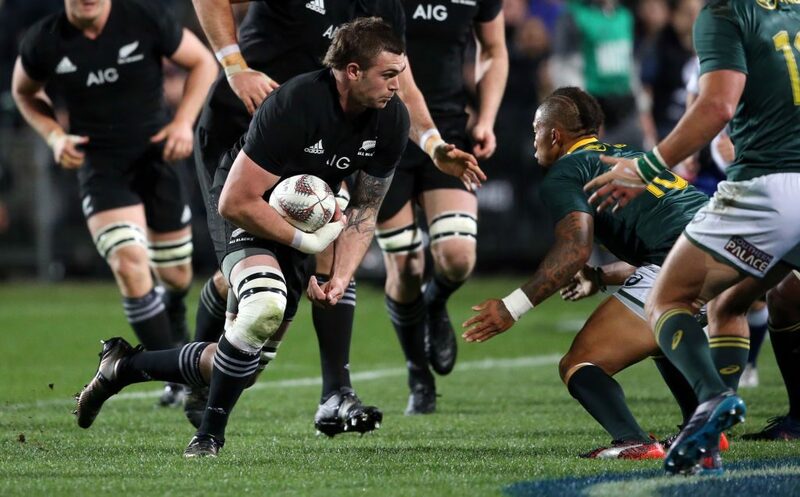 Battled hard and strong defensively but not able to influence the game in the same way as Barrett did for the All Blacks. Kept his motor running deep into the game leading the side with ten carries. Didn’t disgrace himself. Fairly anonymous throughout the game. A few strong runs but not dominant enough in the tackle to stop the All Blacks quick cleanouts. Part of a shaky Springbok lineout and not much penetration ball in hand. Leading tackler for the Boks but little of his aggressive presence with ball in hand. Will be furious with the lineout mistakes. Made a strong scrummaging start but barely sighted after that. A few typically blockbusting runs in the first half but serious lineout throwing wobbles seemed to affect his confidence. Very strong beginning with dominant scrummaging and strong early runs. 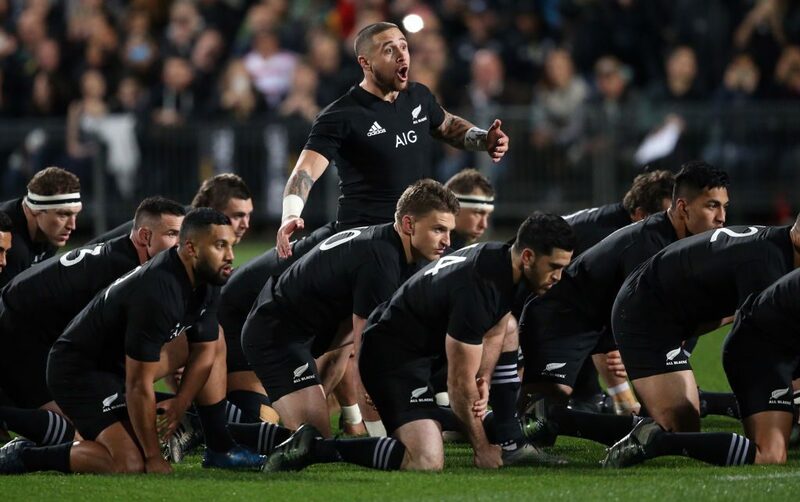 Gradually got enveloped by the All Black wave after that. Subs: Pieter-Steph DuToit 5.5, Trevor Nyakane 5, Others N/A.